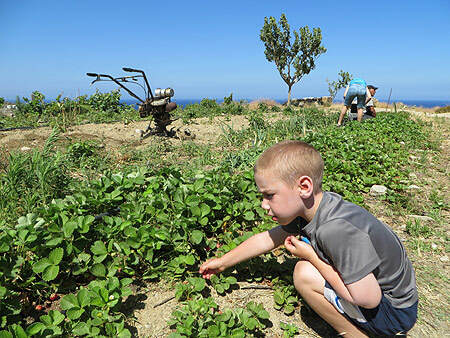 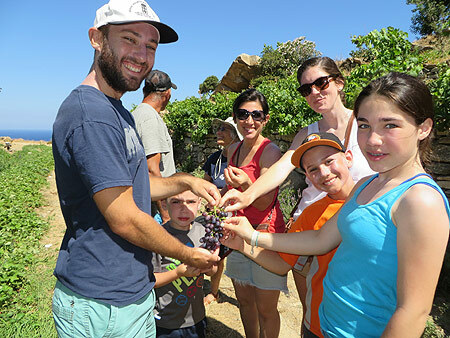 Learn about and experience healthy Ikarian food, cooking and farming during your stay in Ikaria and see why Ikaria has been designated as a BlueZone for its extraordinarliy long-lived and healthy people. 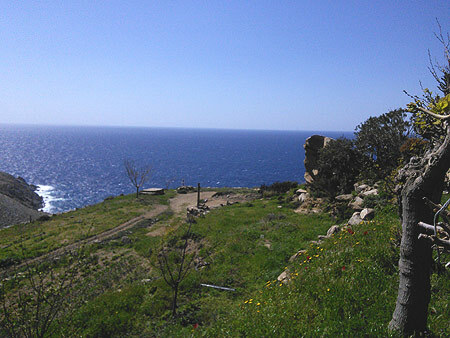 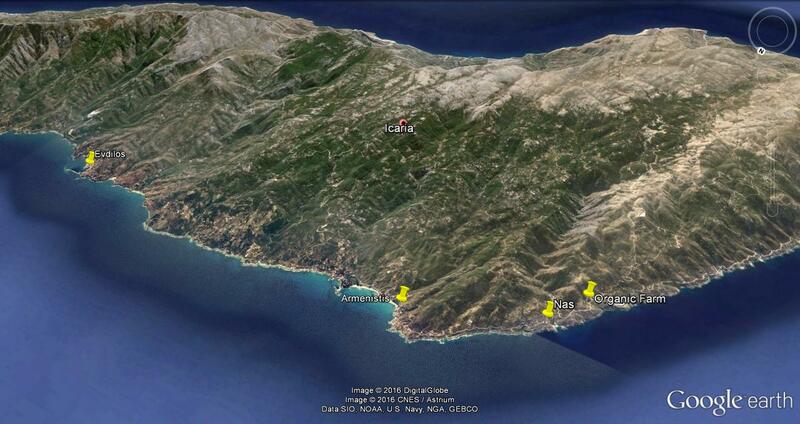 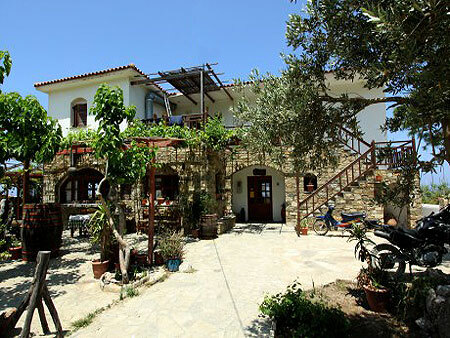 Your host for the day is Thea and her family located in beautiful village of Nas near Armenistis. 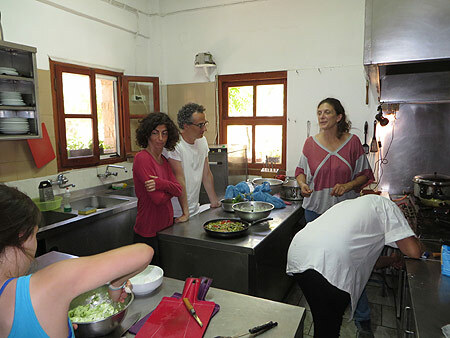 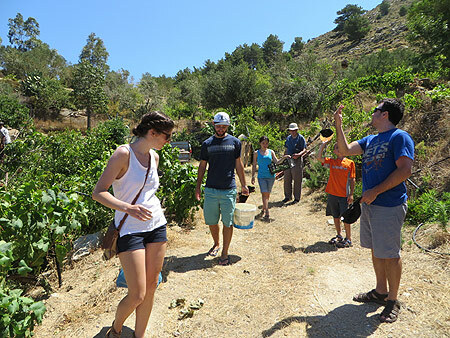 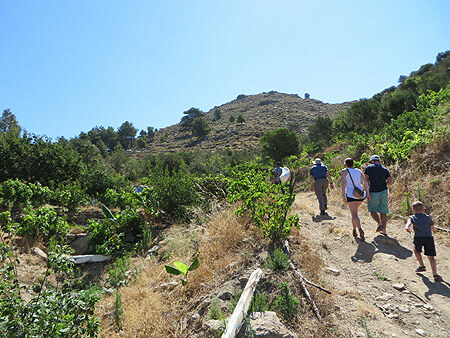 Thea hosted the BlueZones, National Geographic and CNN teams at her inn while they were researching and reporting on Ikaria as the 5th BlueZone in the world. 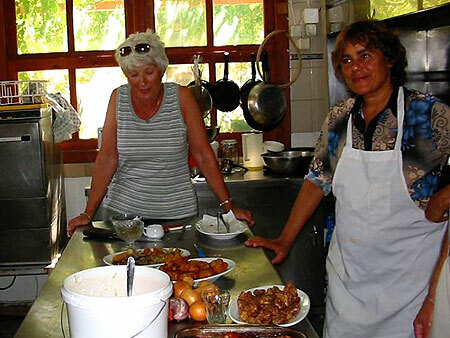 Together with her assistant , Athina Mazari, Thea introduced them and the world to Ikarian food and lifestyle; so you are in good hands. 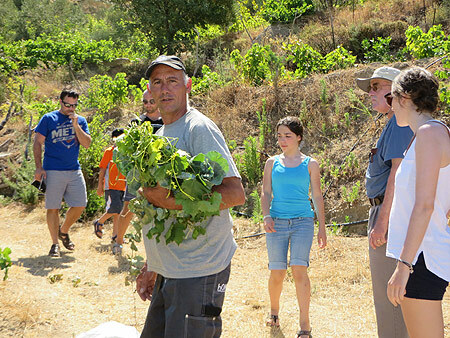 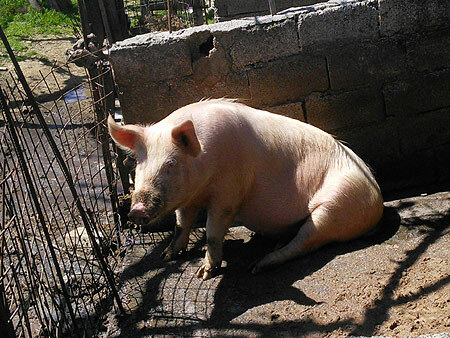 The day starts with a visit to the family's nearby organic farm belonging to Thea's husband Ilias. 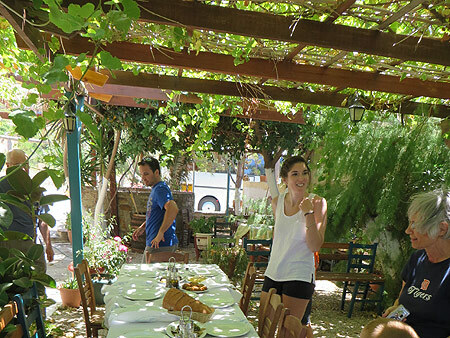 Born in Ikaria and an accomplished organic farmer and wine maker, Ilias supplies the always fresh meats, vegetables, herbs, greens and delicious wine for their restaurant. 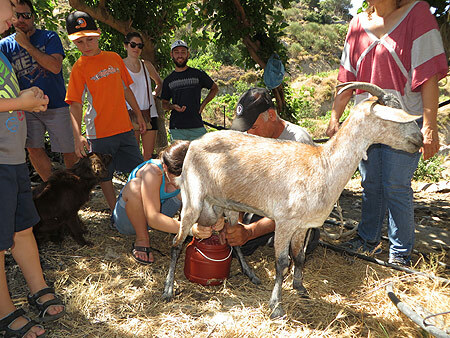 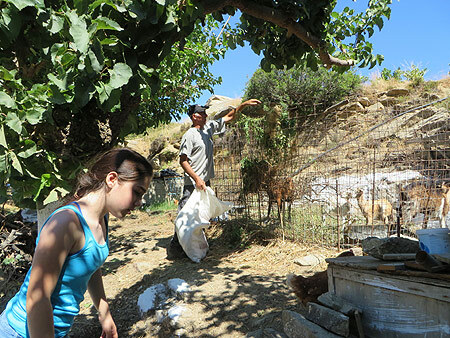 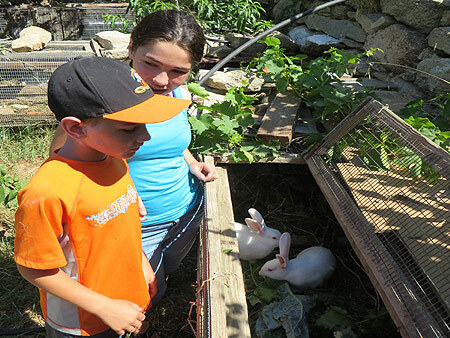 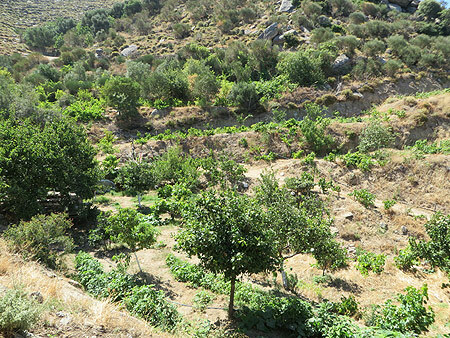 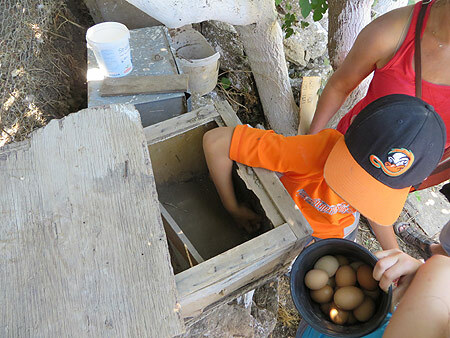 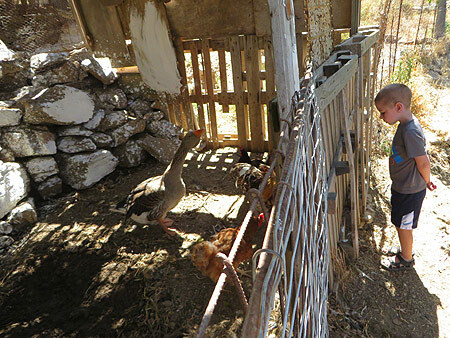 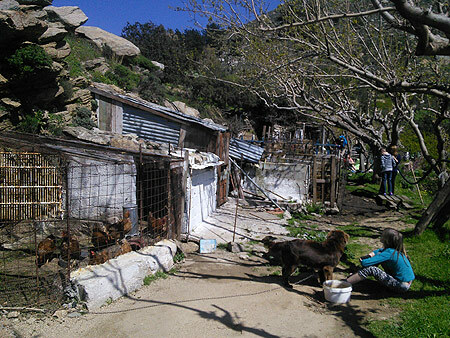 At the farm you can partake in activities such as: milking goats, gathering fresh eggs, feeding the animals (goats ,sheep, rabbits, chickens, ducks), picking seasonal fruits & vegetables, gardening Ikarian style, or just relax and have a glass of Ilia's homemade wine while looking out over the Aegean Sea. 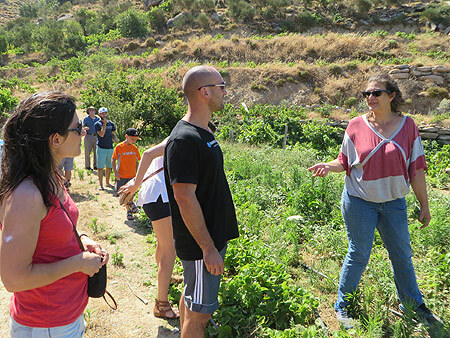 There is always something fresh and healthy to be harvested, and visitors use these ingredients for their Ikarian cooking class back at Thea's. 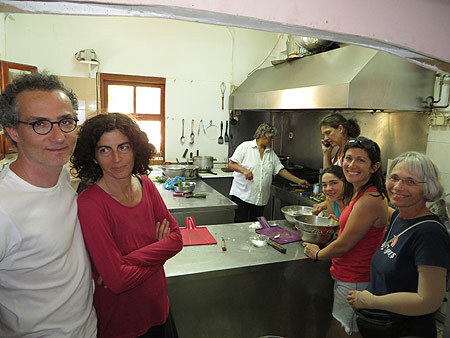 With over 16 years of experience in traditional Ikarian cooking, Thea's is the perfect place for an afternoon cooking lesson. 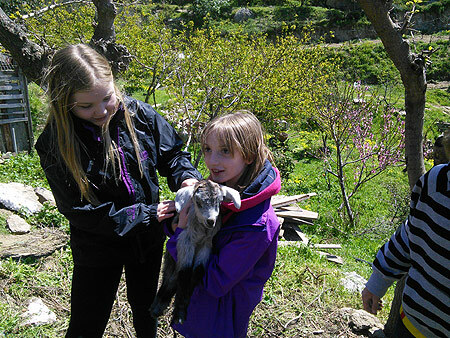 The lesson is followed by a wonderful lunch with what you have picked from the farm and cooked in Thea's kitchen. 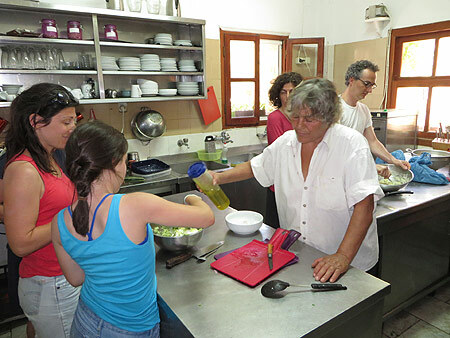 The focus is on learning to prepare traditional healthy Ikarian dishes that are easy to make and that you can adapt to your home country's available products. 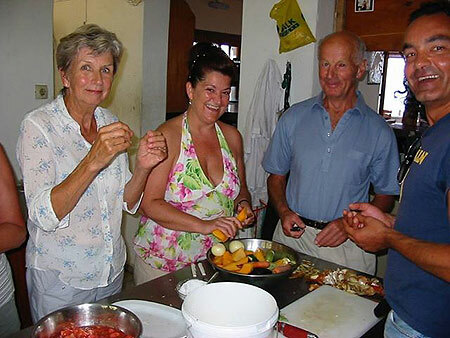 One of the typical Ikarian dishes you will learn to make is "Soufiko", a delicous and nourishing vegetable medley. 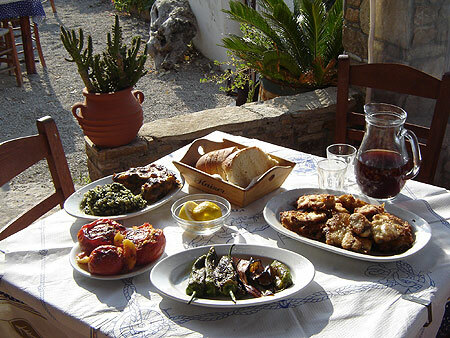 The dish and recipe is unique to Ikaria.